DJ Luke is an International DJ who started playing at the early age of 15 in local bars and clubs in his home country Slovakia. When he turned 17 his mixing skills earned him a residency in a 1500 capacity nightclub called Zio. His residencies continued taking him all over the world to festivals with over 7000 people such as Freesummer and Orange Summer. 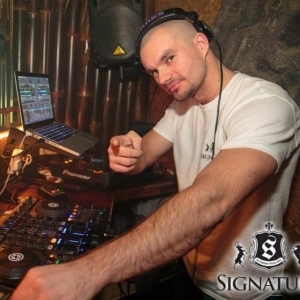 His move to the UK (Oxford) in 2008 landed him sets in London and Oxford in The Living Room venues at Tower Bridge, Milton Keynes and Oxford as well as Lola Lo's, Carbon, The Junction and for many private parties with RJCC Events at venues like Blenheim Palace and clients such as the Royal Agricultural University. His music genres cater to a wide audience from 16th's to 60th with old school classics, 70s, 80s, 90s, house, dance, R&B, hip hop, Drum & Bass and he also takes requests.